Looking for a low-cost invisible Anti-Graffiti Coating? Once applied this Sacrificial wax polymer anti-graffiti finish is almost imperceptible and won’t darken, discolour or “wet look” natural stone, concrete or brick. 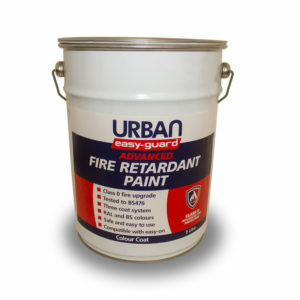 This makes Urban Hygiene’s Sacrificial anti-graffiti product the very best graffiti resistant coating for those looking to retain natural appearances of listed buildings and heritage substrates or for those seeking to protect building materials chosen for their architectural merit. Graffiti removal from Sacrificial AGS simply requires a cold or warm water pressure wash so there’s no need for harmful graffiti removal products or strong graffiti removing chemical paint strippers. Sacrificial Anti-Graffiti Coating System works by laying down a clear invisible, water-based, graffiti-resistant, wax barrier that prevents graffiti such as spray paint and permanent marker pen from penetrating into and staining the substrate you wish to protect. If graffiti vandalism does occur all you need to do is wash your protected substrate with a warm water pressure washer then reapply the Sacrificial Anti-Graffiti Coating in that area. Fast, simple, effective and invisible graffiti protection. Any porous wall with a graffiti problem will benefit from the application of an anti-graffiti coating. Unfortunately, Permanent anti-graffiti finishes almost always discolour natural stone, brick or concrete type substrates which makes them unsuitable for listed and heritage graffiti protection applications. Invisible Sacrificial Anti-Graffiti Coating Systems are usually chosen where the retention of natural appearances is paramount and a high standard of graffiti protection is required. Sacrificial AG systems are slightly more labour intensive as they require the reapplication of the graffiti protection with each graffiti removal operation but if it’s invisible graffiti resistance you require then Sacrificial Anti-Graffiti Coatings are the best way forward.